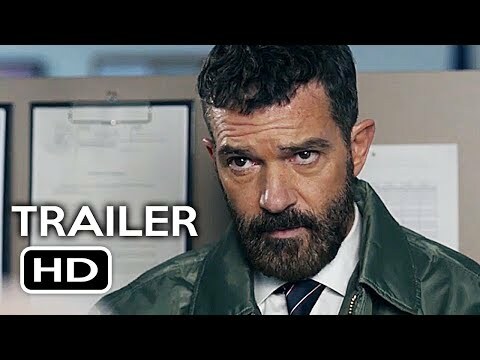 What’s the story: Iraq vet Captain Eduardo “Eddie” Deacon (Banderas) takes a job as a mall security guard in a rough neighbourhood to care for his family. On his first night, Eddie must protect a young witness in a Mafia trail from a lethal gang of mercenaries led by the ruthless Charlie (Kingsley). What’s the verdict: Die Hard in a mall. Or Dawn of the Dead meets Assault on Precinct 13. Security may not be original, but it moves with pep, verve and humour, and sometimes that’s enough. One of those times is now. With blockbuster action cinema increasingly weighed down in joy crushing portentousness, a palate cleanser like this can be just the ticket. And on a $15m budget (7% of what the latest Transformers cost), French-Canadian director Desrochers and writers Sullivan and Mosher have created a thrilling, three-acts-and-out actioner that puts Michael Bay’s efforts to shame. And they do it while creating characters the audience will actually root for, played by a cast who know when to play it broad and when to rein it in. Although Sir Ben stretches that claim toward the end. Banderas brings his usual smouldering intensity and wry-smile charm to John McClane clone “Eddie” Deacon. Whether pep-talking mall cops as the bad guys storm the barricades, sparring with Mafia target Jamie (de la Rocha) in scenes coincidentally reminiscent of Logan, or doing that cruciform gunplay thing from Desperado, he reminds us why action cinema is better with him around. Spartacus star McIntyre gamely plays second fiddle to Banderas, permitted one major firepower showdown with boo-hiss mercs he can use as an audition reel for Marvel or DC. And Wright, Lindberg and Wang invest their characters with warmth enough that you hope everyone makes it to the final credits. Spoiler: Security is tougher than you expect. Kingsley does an adequate Alan Rickman in the Hans Gruber role. Although his decision to play the character Welsh for the final ten minutes (we’re not kidding) seems like a director unable to pull back his Oscar winning star. Yet, wonky voicework be damned. 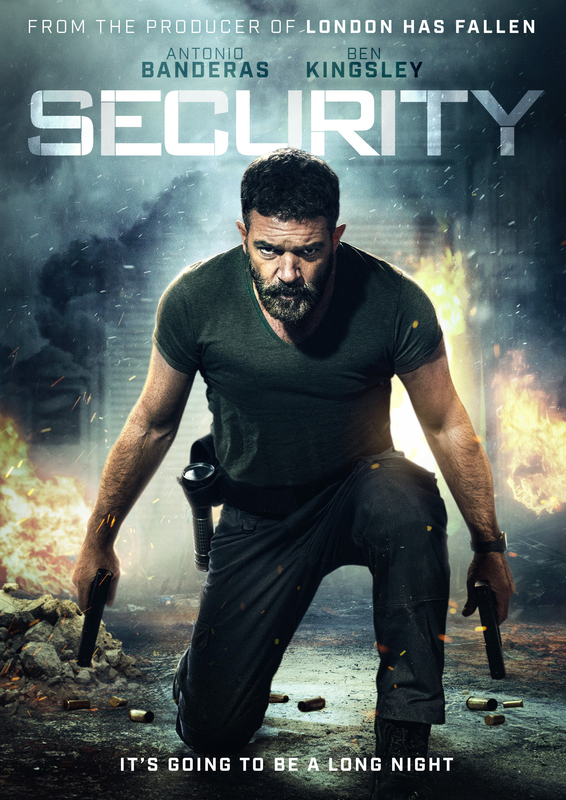 Like Arnie’s The Last Stand and Van Damme’s Enemies Closer, Security is the kind of undemanding, explosive entertainment for which pizza and beer nights-in were invented. Never Let Go Unleashed 3rd October!